Personal CO2 Incubator that can be transported! At only 13 inches wide, the myTemp Mini CO2 is the smallest and most economical incubator for applications requiring CO2 gas control. Its small footprint makes the incubator ideal for use inside of biological safety cabinets, isolating sensitive cultures or for any laboratory simply trying to conserve bench space. With a thick layer of high efficiency insulation surrounding the chamber, the incubator is also ideal for transporation of cells. 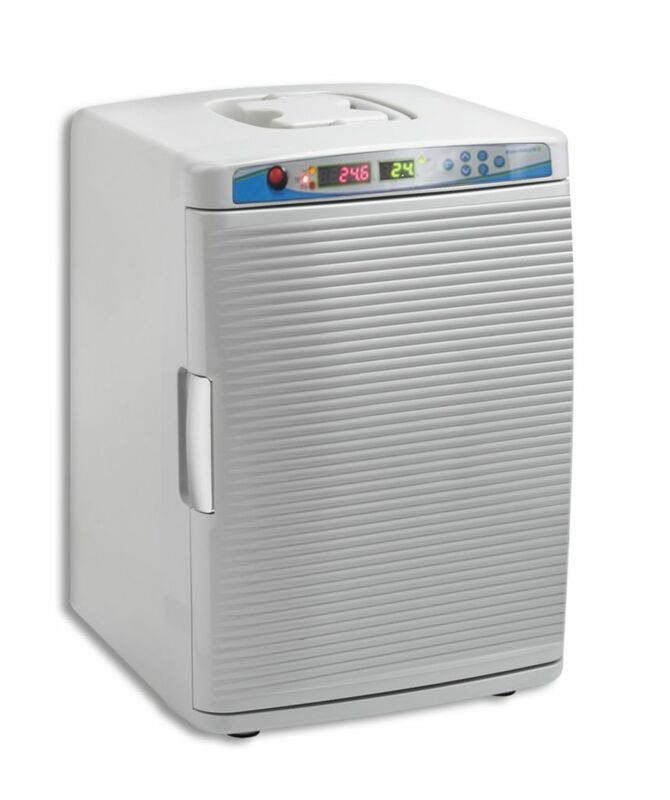 Once power has been disconnected, the incubator maintains temperature levels within 10% of the set parameter for up to 1 hour (if disconnected from the CO2 supply, CO2 percentages decrease by approx. 1% / 30 min.). In addition each model includes a 12V vehicle power adapter for operating the instrument in a car, boat, etc. Both temperature and CO2 percentage are digitally adjustable and displayed in real time on the large LED control panel. This panel also features a "Cal" function, for easy in-lab calibration of the temperature or CO2. In addition, humidity (up to 80%) can be added to the chamber by inserting the included (stainless steel) humidity reservoir. 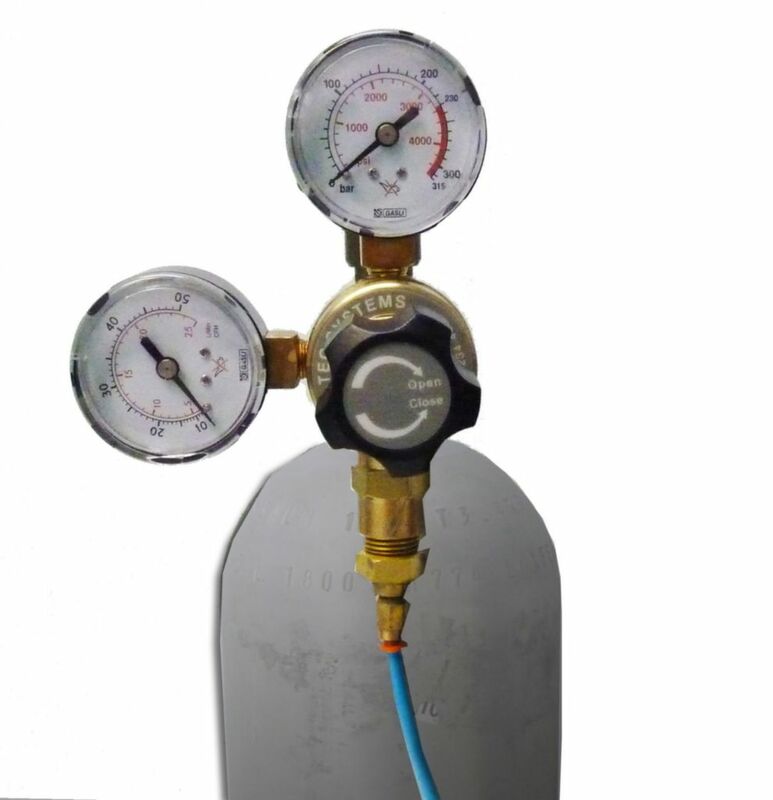 The CO2 level is constantly monitored using dual beam infrared sensing technology. In the event of a drop in CO2, audible and visual alarms are triggered, notifying the user of the error. 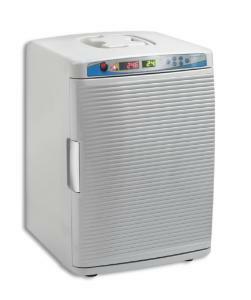 Despite its small size, the incubator features a relatively large 20 L chamber with the capacity for flasks and bottles up to 2 liters. Two removable, stainless-steel shelves are included. The shelves are perforated to improve airflow within the chamber.